Happy new year my fellow bloggers readers, this year has started with me frying some eggs on YouTube https://www.youtube.com/watch?v=5yZ08vTdGAY. 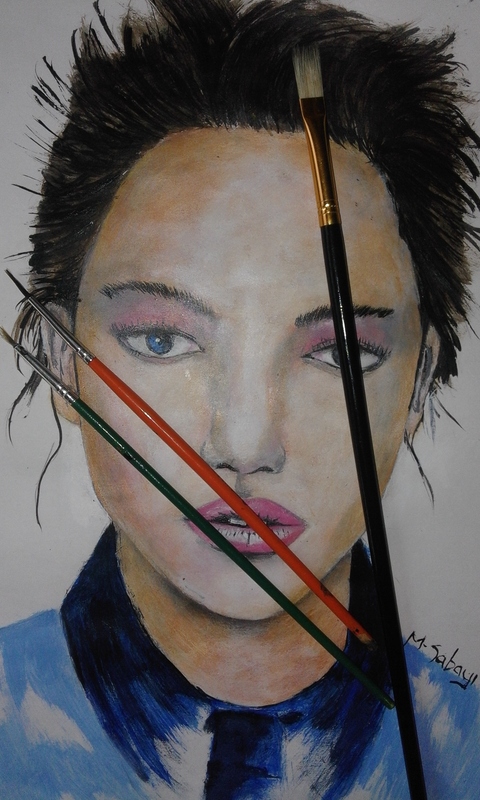 This is a mixed media piece of work whereby, i used acrylic, watercolor and Colored pencils. I finished this drawing 2days ago but i wanted it to open this year. 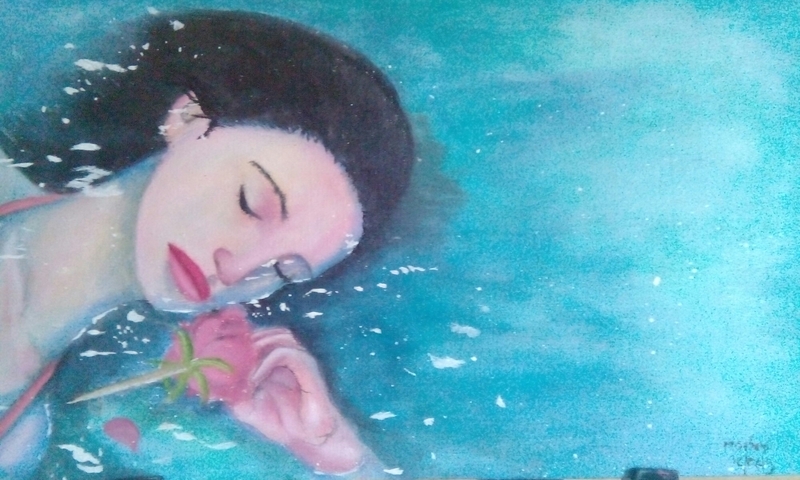 This drawing/painting was also inspired by one of my favorite artists- Marcello Barenghi. Please check the full drawing out on my YouTube channel. My drawing Kingbach video has hit 100 views on YouTube. For those who haven’t yet visited my channel, please do. I really need you wonderful people. Inspired by Lena Danya’s ”fading”. She is one of my favorite Artists on YouTube. Her speed paintings, mostly 2-5minutes really inspires and teaches me a lot. Fading is one of my best in her channel and i really wanted to learn how she did it. Thanks a lot Lena I’ve learnt a lot from your YouTube channel. How I wish one could be able to subscribe to one’s channel more than once, I would have done that a thousand times. When i looked at her lips, i remembered one thing, sweet words that she told me, ‘you are great.’ I never knew what she meant until i looked into the sky and started drawing. What came into my mind was just her lips. I didn’t know how but the words that came from her lips never stops clinging inside my small memory. Yap i was great. Sometimes i can’t stop staring at this picture because after she told me, she left. Not because i was not good for her but because i was great. Not great to be left, but great to leave her. 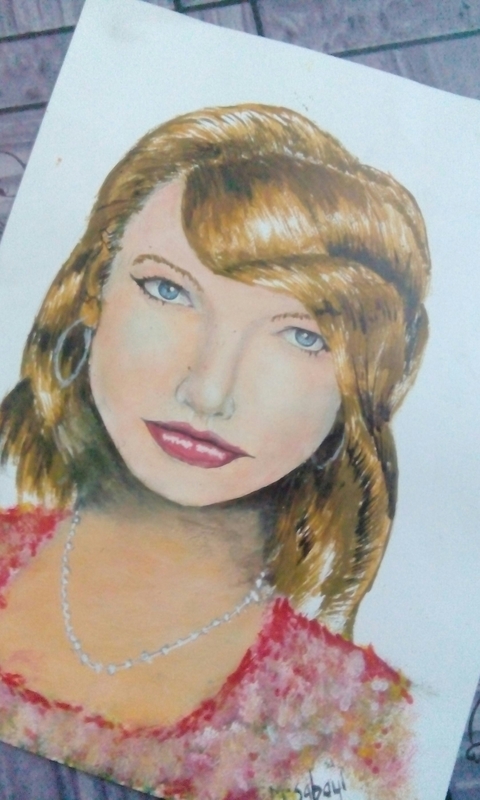 She was great but she left me withe her words and through my art, i took my pencil and drew her words on this paper. 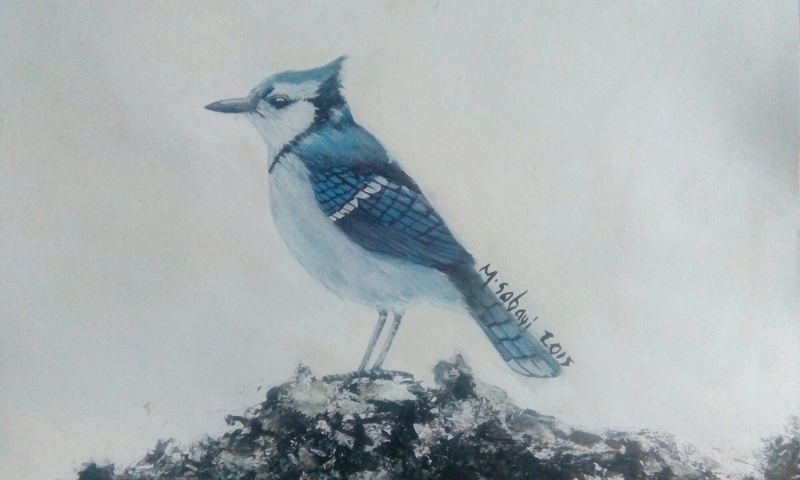 Another awesome acrylic painting of the bold Blue Jay, this time on top of a rock. Unlike the previous one this one didn’t take me long to complete just about an hour and a half. This is probably one of my best paintings i have ever done, i really had to post it again. I couldn’t help it. It’s the little that makes life great. Imagine walking home from work or school feeling so exhausted and come across this little chicks near your home. 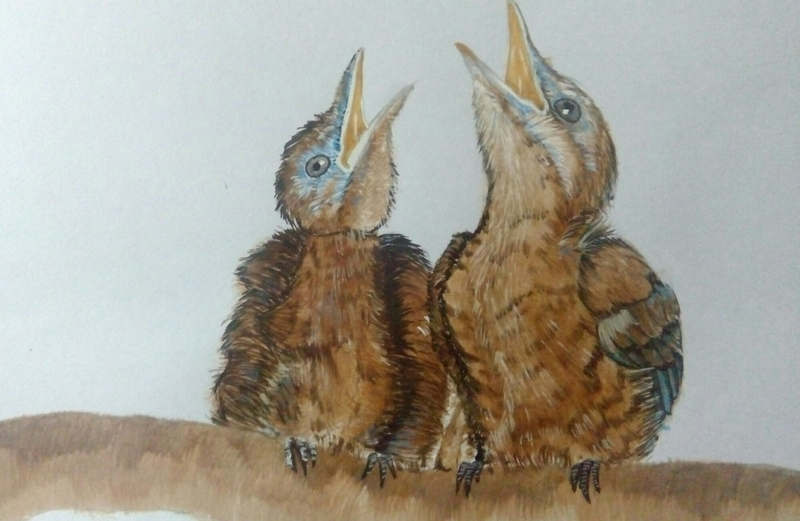 This painting of baby blue birds i did it for a friend a few days ago using acrylic paintings. Another painting of a woman! well i think this might be the last female art i’m making for a while. I had a problem in both drawing and painting female before but because i’ve seen a great improvement in my female artworks i think it’s the high time i also remember the male gender. It’s quite funny out of 34 artworks in this blog there is only about 4 male artworks i have made yet i’m male, so embarrassing. I used acrylic paints and this small painting took me five non-stop hours. It was fun making the painting and i loved it. 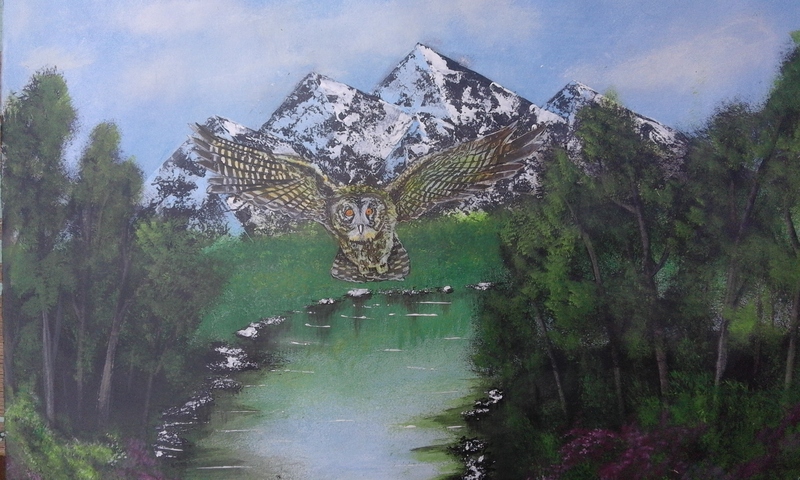 This is my second painting of Nature but excluding the Owl. 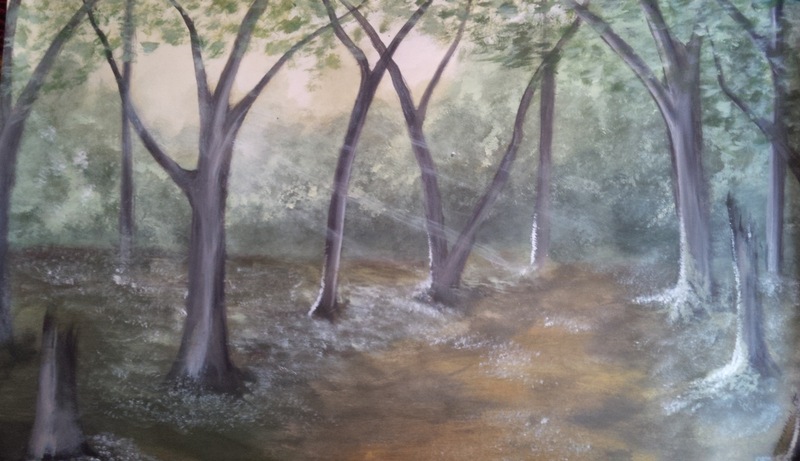 This really shows how i adore nature and because i always express my life through art, i decided to paint it. I used different colors for vegetation because this is really what nature is all about, beauty,alluring and what makes it more powerful and strong is the birds, fish and the animals that move around.